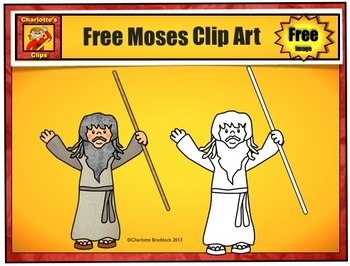 Free Bible Clip Art set of Moses for personal use or commercial use. This set is great for Bible stories, Sunday School, Retelling stick puppets, sequencing story events and much more. Thank you for taking time to leave a comment. Feedback is very much appreciated!!! !